According to report published earlier today, Samsung is looking to ban sales of the Apple iPhone 4S in Japan and Australia. The company is also seeking a ban on sales of iPhone 4 and iPad 2 in Japan. 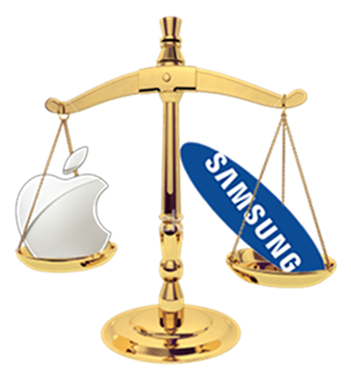 The news comes from The Wall Street Journal – an international English daily in a report in which they discuss Samsung “firing back” at Apple by seeking to stop sales of their recently released iPhone 4S smartphone in Japan and Australia. The injunction filed in Japan by Samsung is based on copyright infringements related to general technology, user-interface patents while the one filed in Australia is related to wireless telecommunications standards. Just four days ago, we heard of Apple successfully blocking sales of Samsung’s Galaxy Tab 10.1 in Australia because of two touchscreen and multi-touch technology-based patents that the Galaxy Tab 10.1 apparently infringes upon. Apple has also managed to block sales of the same product in Germany. Lastly, let’s not forget that the Galaxy S II has been banned from sale in over 30 European countries. This patent war (as it is being called) is only going to get worse before it gets any better. The legal battle is spread now across continents with proceedings taking place in countries like USA, Japan, Netherlands, Australia, France and Italy just to name a few. WSJ expects that the patent lawsuits will end with a massive cross-licensing deal in which both companies would end up paying each other for using technology patented by the other. We hope it ends that way, because the way it is shaping up right now, suggests that we’ll soon end up in a world where all Samsung and Apple products are blocked from sale. Samsung actually manufactures flash memory, RAM and processor used in iOS devices. So it does, then, sound quite odd for Apple to go so aggressively after a company that manufactures some pretty major components of its most popular products.